Scientists at the University of Basel in Switzerland have created artificial organelles (AOs) that can function as tiny intracellular implants in living organisms. When tested in zebrafish embryos, membrane-bound, horseradish peroxidase-carrying AOs were taken up readily by cells in the embryos, where the encapsulated enzymes were activated in response to intracellular redox changes. The interdisciplinary research team, headed by Cornelia Pavilan, Ph.D., at the University’s department of chemistry, claim their achievement could pave the way to the development of new forms of personalized therapy. Natural organelles have membranes to retain compartmentalization and confine reaction spaces. This compartmentalization should be a key feature of AOs, the authors point out. Another essential factor for fine-tuning AO functionality is the triggered response to environmental cues, such as redox state. Polymersomes represent ideal candidates for creating AOs, the team suggests. These self-organizing hollow spheres have a membrane that acts as a boundary for an inner cavity, and also give the spheres greater mechanical stability than is exhibited by AOs based on liposomes. To generate prototype controllable AOs, the team constructed polymersomes encapsulating a horseradish peroxidase enzyme that is only activated when specific molecules penetrate through the outer membrane. Horseradish peroxidase was chosen as a model enzyme because peroxidases play a significant role in redox homeostasis of cells. Control of enzyme activity was achieved by incorporating into the polymersome membrane genetically modified porin channels that act as redox-responsive gates. In low-glutathione environments, the membrane proteins are closed, so no molecules can penetrate the AO, but the gates are triggered to open and let in small-molecular-weight molecules when concentration of the reducing agent glutathione rises above a specific threshold. 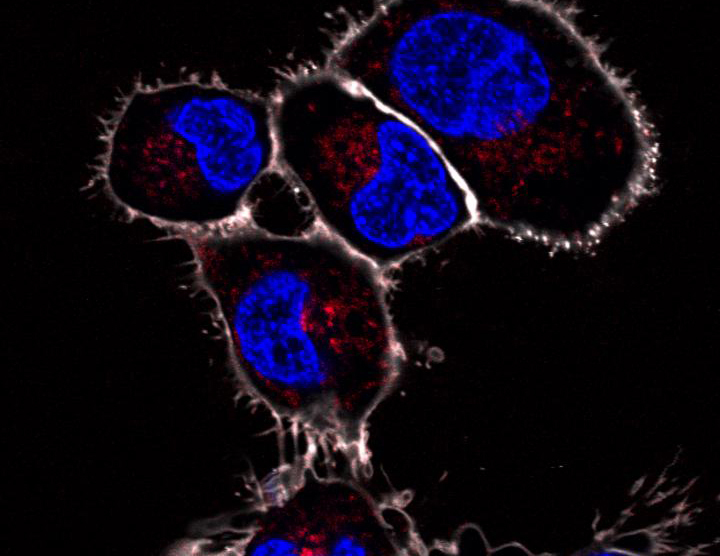 “This approach mimics pathways of metabolism regulation, where proteins within the membranes of natural cell organelles are irreversibly activated or deactivated on demand,” the team writes. The team’s polymersome AOs were first evaluated in vitro and then tested in a zebrafish embryos. The zebrafish embryo model is ideal because the embryos are transparent, which allowed the researchers to visualize their fluorescent dye–tagged intracellular implants under a microscope. The studies demonstrated that when AOs containing horseradish peroxidase were injected into the zebrafish embryos, they were taken up by the cell’s macrophages. Peroxidase enzyme activation was then triggered by the hydrogen peroxide produced by macrophages entering the AO cavity through the opened protein gates. “Our AOs preserved their architecture and were activated after reaching the cellular microenvironment,” the team writes. “More exciting, they are functional in a vertebrate ZFE [zebrafish embryo] model, which proves that the concept of AOs as cellular implants is feasible in vivo.” The authors suggest that by changing the encapsulated enzymes and/or of the stimuli-responsive property of the protein gates their basic AO strategy could be adapted for the development of a wide variety of AOs for different clinical applications. Next articleCould Chronic Fatigue Syndrome Be a Thyroid Hormone Deficiency?